I needed a new logo. 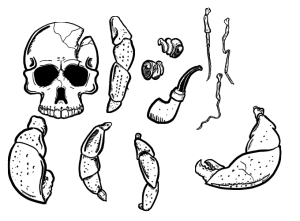 My old logos, drummed up in a few minutes for Twitter and Facebook accounts, were looking a bit played out. I’m meant to be a professional, I’m hoping to get into school, so it’s time I looked like it. On top of this, I needed a nice animated thing to put at the start of a visual novel that’s in the works. I’ve also been working hard at my drawing skills and wanted to give Corel Painter Essentials 5 a proper workout. I tried to approach this logo in a slightly more structured way than usual. I didn’t want to drift away from the skull with crab legs. I think it suits my horrible personality and my work. Anyway I’ve been using a smashed-up skull as my motif for more than a decade now so I thought it would be a treacherous and side-winding thing to do to get rid of it after such good and faithful service. 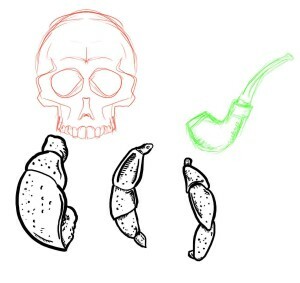 The pipe has been part of the deal for some time as well, for instance it made it into my old Twitter logo. While I was drifting off to sleep one night I was thinking about the visual novel. I remembered that most VNs start with a little animated logo of the team that made the game. 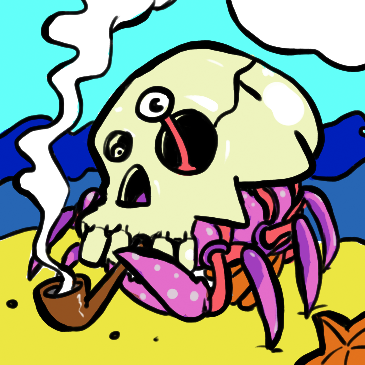 A vivid idea of crab legs and a pipe tumbling out of the bottom of a skull crawled into my mind. I slept on it and started drafting out the design the next evening. 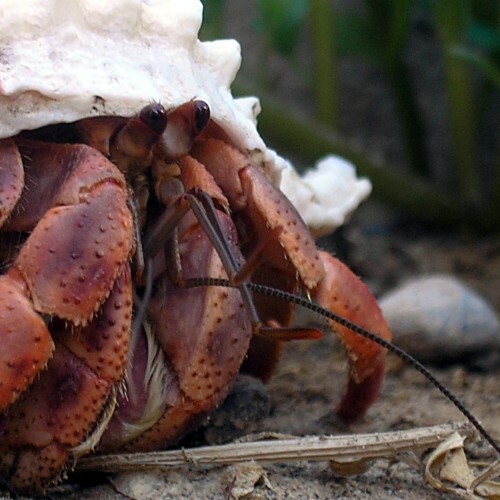 I looked at a few stock images of hermit crabs for inspiration then drew the crab parts. 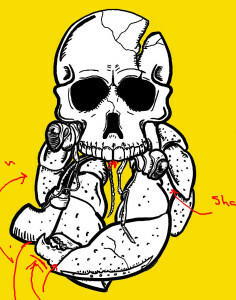 For the skull I looked at a lot of great drawings in The Book of Skulls, especially those by Stephen Thompson, James Woodford and Mike McGill. 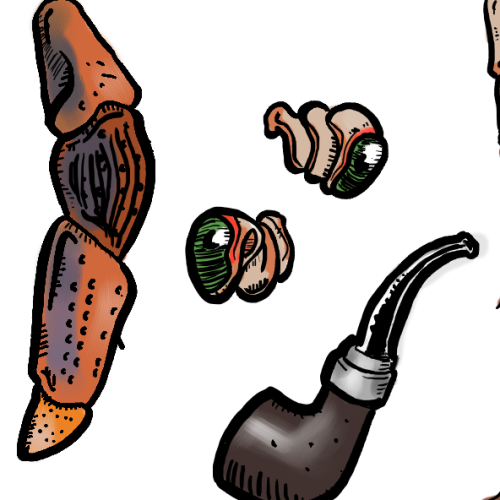 I had a good in mind for how the logo would look when it was complete so I drew the individual parts that would be animated – first the skull, then the claws, eyes, legs and feelers of the crab (and a pipe, too). I wasn’t too sure at first whether I would rather go for a really gritty, overworked design like Wrath Panda in black and white or something more cartoony in colour. After trying some colouring I eventually went for the more cartoony look. All the parts of the crab outlined. Once the parts were all done I assembled them to make a guide for the final layout. Animation guide with a few notes for areas to improve. 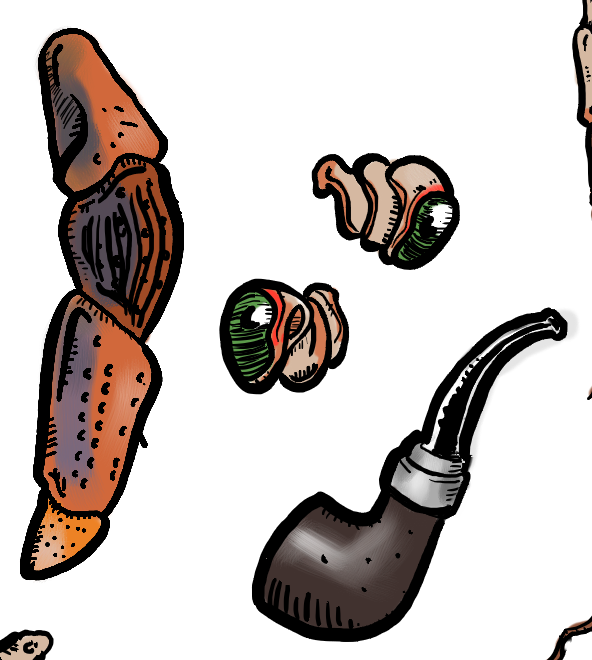 With the outlines done I painted all the parts in crabby colours using an opaque acrylic brush in Corel. During this process I tried pink and purple as the main colour as well but settled on a burnt orange colour as the best choice. 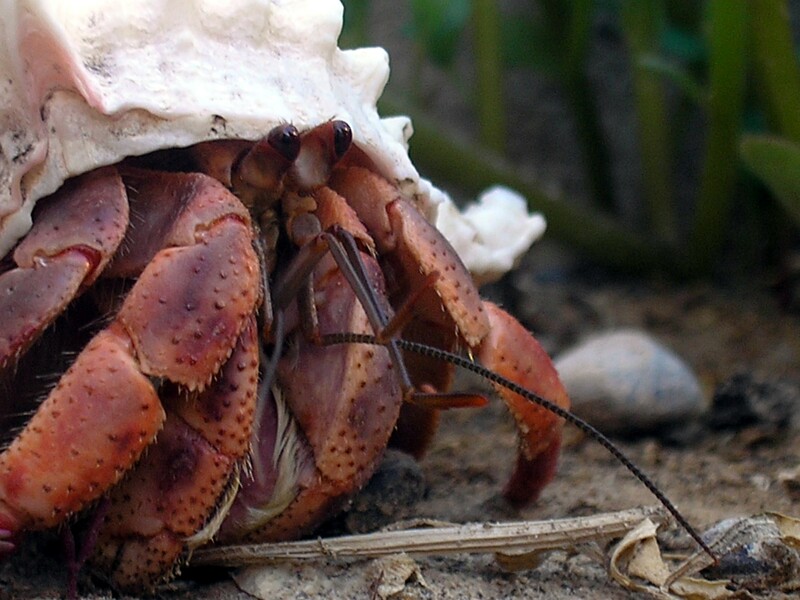 I watched a few videos of hermit crabs coming out of their shells before I started on the animation. 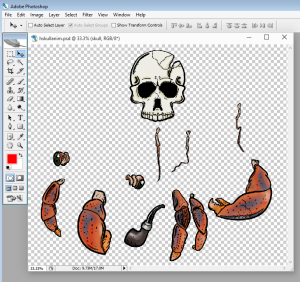 Animation was done using an old version of Photoshop – way less infuriating than trying to use GIMP. 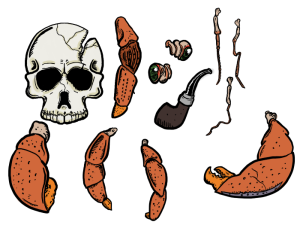 Coloured parts, arranged ready for animation. Although I had a good idea of what I wanted the animation took some fine-tuning to get it to look right. 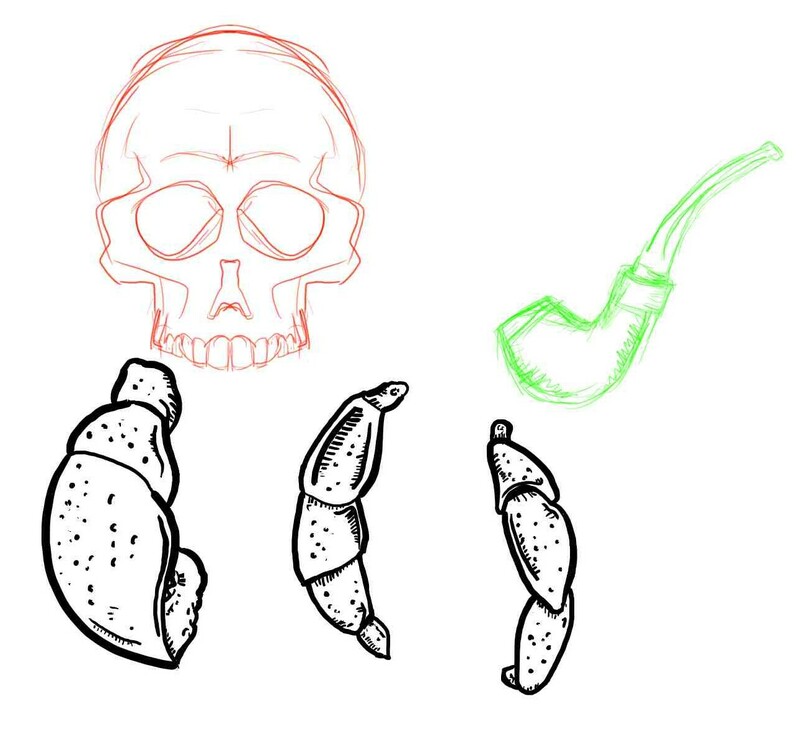 In Photoshop animation is mostly about moving layers around, so it was not too hard to get things to match up to the guidelines I drew up earlier. 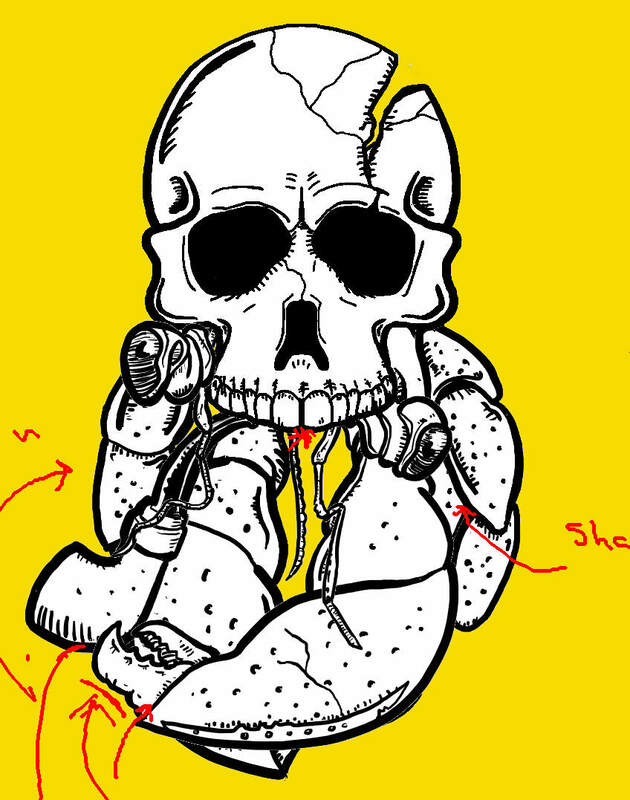 The Hermit Skull, ready to scuttle around the Internet, in front of video games, onto T-shirts and into your heart.